Demetrios Anaipakos is a seasoned trial lawyer recognized for his prowess at representing both plaintiffs and defendants in patent litigation and complex commercial litigation. He has helped one client obtain one of the largest patent verdicts in the United States, assisted others at beating the odds in patent fights and has overseen international patent litigation. He regularly handles cases in both state and federal courts and sometimes across international borders. He has been counsel in several significant cases involving allegations of damages into the hundreds of millions of dollars. Mr. Anaipakos is Board Certified in Civil Trial Law by the Texas Board of Legal Specialization, a distinction reserved for Texas trial lawyers with a high degree of trial experience and expertise. His high-profile cases and courtroom victories have attracted statewide, national and sometimes international attention. He has been featured in numerous publications including the New York Times, the Chicago Tribune, the Houston Chronicle, the Washington Post, Newsweek, USA Today, and the National Law Journal. And he has also appeared on many national television shows including Good Morning America, the CBS Early Show, the NBC Nightly News, the CBS Evening News as well as the BBC. He’s recognized for his general commercial litigation work by the highly respected Chambers USA: America’s Leading Lawyers for Business, published by London-based Chambers and Partners. He has been recognized by attorneys across the United States, making the list of the Best Lawyers in America for commercial litigation in the U.S. News & World Report survey. 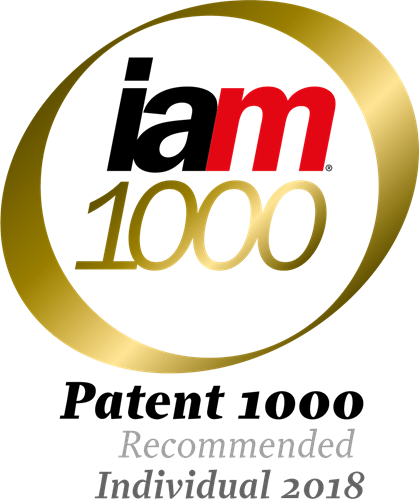 He was named in 2017 and 2018 by IAM Patent 1000 – The World’s Leading Patent Professionals as one of the best patent litigators in Texas. Mr. Anaipakos also has been named to the Texas Super Lawyers list since 2004 and repeatedly has made the Top 100 Houston Super Lawyers list. And Mr. Anaipakos has earned a “distinguished” rating by Martindale-Hubbell, the premier legal directory in the United States. 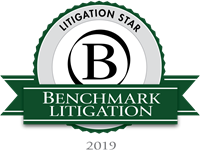 He was also named a Benchmark Litigation Star in 2016 – 2019. 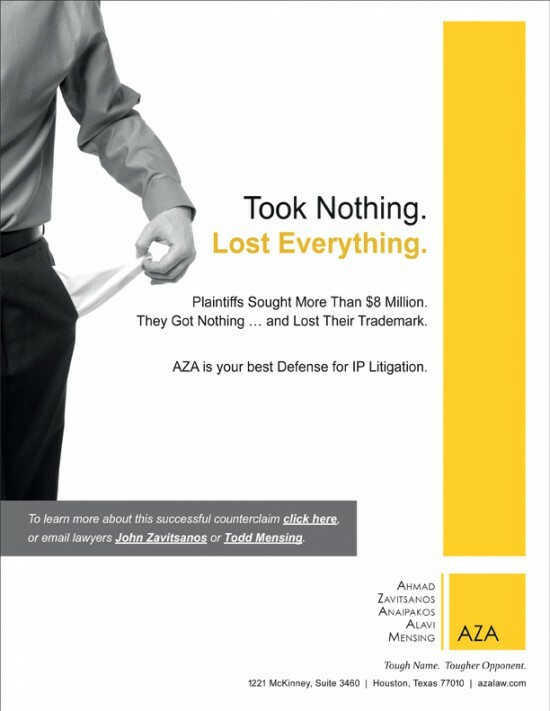 Mr. Anaipakos helped client Versata Software not only reach a $391 million patent infringement jury verdict using a new lost profits claim, but also uphold that win over years of high-powered appeals. Mr. Anaipakos was actively involved in the development of the winning lost profits model, and developing the arguments that resulted in the affirmation of the model on appeal. Mr. Anaipakos was also in charge of settlement discussions for Versata, and the case settled for a confidential sum that was paid to Versata in September 2014. Read about the patent verdict here. See a news story on the final case here. Mr. Anaipakos beat the odds when he obtained a $15.7 million federal jury verdict in Texas in this patent infringement case. Jurors deliberated only one hour to find that Samsung Electronics infringed on two Rembrandt Bluetooth patents. Rembrandt, a business technology company, will likely receive royalty payments on all Samsung Bluetooth sales for the life of the patents. Rembrandt argued Samsung in its Galaxy S phones and other devices infringed on “enhanced data rate” inventions. Mr. Anaipakos confronted the problem of representing a non-practicing entity by telling jurors exactly what these companies do. See a news story on the case here. Mr. Anaipakos is overseeing potentially precedent-setting cases against multiple defendants filed simultaneously in the U.S. and Germany for St. Lawrence Communications, a patent licensing company. St Lawrence owns six families of patents that are essential to the Adaptive Multi-Rate-Wideband (“AMR-WB”) standard. In German cases against Deutsche Telekom, Vodafon and LG the injunctive relief sought and ordered for AZA’s client is “momentous” and is being watched closely by the media and the industry. See an articles on the cases here, here and here. Mr. Anaipakos represented limited partners and their limited partnerships in a securities fraud claim against a publicly traded energy oilfield services company and its investment bankers in connection with a secondary public offering of the company’s stock. Mr. Anaipakos represented investors and a limited partnership in a jury trial alleging various breaches of fiduciary duties by the management of the partnerships. Mr. Anaipakos successfully represented Billy Gillispie, former head coach of the University of Kentucky Men’s Basketball Team, in litigation against the University of Kentucky Athletics Association and in defense of claims filed by the University of Kentucky. The case was closely monitored by the national media, and Mr. Anaipakos obtained a $3.25 million settlement in favor of his client; the settlement required the defendants to pay all of Coach Gillispie’s legal fees incurred to bring the case. Mr. Anaipakos represents a highly-successful energy trader and former employee in his multi-million-dollar claims against Saracen Energy and others. In an alleged class action, Mr. Anaipakos is lead counsel for a putative class of passengers alleging various breaches of warranty in connection with the alleged failure of the carrier to comply with various airworthiness directives. Mr. Anaipakos represents a significant number of former franchisees of DHL in major litigation pending in New York, Texas, and elsewhere relating to DHL’s decision to discontinue domestic overnight delivery services. Mr. Anaipakos represented the management team of an energy trading operation in connection with the decision by the trading company to discontinue its operations. Mr. Anaipakos represented a software company in a bet-the-company copyright infringement matter. The case settled on favorable terms on the eve of Mr. Anaipakos deposing the key defense witnesses. Mr. Anaipakos handled an audit malpractice case against KPMG on behalf of investors in an investment partnership. The settlement of the case was extraordinary, but is confidential at the request of the auditing firm. Mr. Anaipakos represented limited partners in an investment partnership in a securities fraud case against the auditor of the partnership. The case settled for a very significant sum during trial, shortly after Mr. Anaipakos delivered opening statements and cross-examined the lead audit manager. Mr. Anaipakos represented a class of accountants and clients in consolidated class actions against a major accounting firm. Mr. Anaipakos represented the Estate of Dr. Saleh Shenaq in a high-profile lawsuit against the Baylor College of Medicine and others. The case was settled on extremely favorable terms which, at the defendants’ request, are confidential. Mr. Anaipakos represented a very successful energy trader against his former firm. The case was settled favorably for Mr. Anaipakos’ client. Mr. Anaipakos represented the former CFO of an energy consulting firm in a case alleging tax fraud and other illegal activity by the consulting firm. Shortly after Mr. Anaipakos deposed the CEO of the consulting firm, the case settled favorable for a confidential sum. 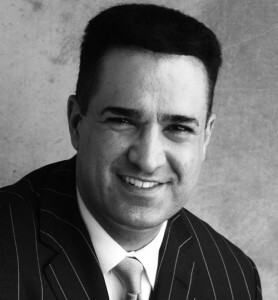 Mr. Anaipakos tried to verdict a complex commercial dispute on behalf of his client, Innovative Truck Storage. Mr. Anaipakos defended various individuals and a publicly-traded company in a case alleging securities fraud, breaches of fiduciary duties, and other matters. The case settled on the verge of trial: Mr. Anaipakos’ client did not pay a penny and, instead, received a significant payment as part of the settlement. Mr. Anaipakos represented a very successful doctor and medical practice in a commercial dispute with a regional hospital alleging, among other matters, violations of the antitrust and RICO laws. Shortly before trial, the case settled on confidential terms that were very favorable to Mr. Anaipakos’ client. Mr. Anaipakos obtained summary judgment on behalf of his client, one of the world’s largest trailer and industrial manufacturers, in a multiple fatality wrongful death case seeking millions of dollars in damages. Mr. Anaipakos was also a member of the trial team that successfully obtained a jury verdict after nearly two months of trial in favor of a large oilfield services company. The amount of the judgment in favor of Mr. Anaipakos’ client exceeded twenty million dollars. Mr. Anaipakos helped lead a multi-state class action against one of the world’s largest food manufacturers. The class of current and former customers was certified after extensive hearings in federal court in Utah. The case settled for an eight-figure sum after class certification had been approved. Mr. Anaipakos was hired on the verge of trial to represent an aircraft retooling, sales, and leasing company in a high-stakes dispute against a powerful, Saudi company. The dispute, which had been pending for several years before Mr. Anaipakos was hired, involved the proposed sale of the personal DC-10 jet of the King of Saudi Arabia. On the first day of trial in federal court, the Defendant capitulated, agreeing to settle with Mr. Anaipakos’ client for a seven-figure sum. Mr. Anaipakos was lead counsel in an explosive race discrimination case brought by a former employee of a major airline. Before suit was ever filed, Mr. Anaipakos obtained a seven-figure settlement on behalf of his client. After several years of litigation, Mr. Anaipakos was asked to take over representation of a South Texas family practitioner in a highly-publicized dispute against general and limited partners in a tri-county hospital. Within six months of Mr. Anaipakos’ involvement in the case, Mr. Anaipakos obtained a seven-figure settlement in favor of his client. Mr. Anaipakos represented a California-based employee of a successful Internet company in a sexual harassment lawsuit against the company and its CEO. Shortly after the EEOC charge had been filed and before any lawsuit, Mr. Anaipakos settled the dispute for a substantial sum, equivalent to well over a decade of his client’s annual salary. When Margaret Ceconi, an Enron whistleblower, found herself in the national spotlight, she turned to Mr. Anaipakos for legal representation. Mr. Anaipakos has represented Ms. Ceconi before the Federal Bureau of Investigations, the Securities & Exchange Commission, various committees of the United States House of Representatives, various committees of the United States Senate, the Department of Justice, the Commodities Futures Trading Commission, and countless other state and federal agencies. Mr. Anaipakos acted as the lead lawyer for his client, Telscape International in a high-stakes courtroom battle against a massive, telecommunications giant. On the eve of trial, Mr. Anaipakos had the Defendants’ counterclaims thrown out in their entirety and obtained a multi-million dollar settlement in favor of his client. Mr. Anaipakos’ fast-paced litigation practice has not stopped him from finding time to serve the community and the legal profession. Mr. Anaipakos is a frequent lecturer at CLE seminars, has served on various committees and positions within the State Bar of Texas, including as a member of the State Bar CLE Steering & Planning Committee for the State Bar Advanced Civil Trial CLE Course. For six years, he volunteered as the mock trial coach for a Houston-based high school that has won the city championship each of those six years. Mr. Anaipakos is actively involved in several bar associations and has been recognized as a Fellow of the Houston Bar Foundation and the Texas Bar Foundation. Born in El Paso, Texas, Mr. Anaipakos graduated from Stanford University with an A.B. in Political Science and from Stanford Law School with a J.D. where he was an Associate Editor of the Stanford Law Review. After graduating from law school, Mr. Anaipakos clerked for the Honorable Edith H. Jones of the United States Court of Appeals for the Fifth Circuit. Mr. Anaipakos then began actively practicing trial law at Vinson & Elkins, L.L.P. where he represented plaintiffs and defendants in complex commercial disputes as well as in significant tort cases. In March of 2000, Mr. Anaipakos joined an aggressive litigation boutique, Ahmad & Zavitsanos, and the Firm’s name was changed to Ahmad, Zavitsanos & Anaipakos P.C. Mr. Anaipakos is married to his wife, Kim, and they have three daughters: Olivia, Stella, and Julia.